Well we started off the weekend with an offshore trip targeting bottom fish. A huge swell left over from a nasty day on Friday made for a bumpy ride out. There was no wind at all on Saturday and it turned out to be a beautiful day after the trip out to the ledge. We found that all the wind Friday shook things up on jefferies ledge quite a bit. The whales had moved on, the dogfish had showed up (luckily still on the surface) and the fish were finicky. We managed an alright catch of cod and haddock but we had to move a lot and really work hard to catch what we did. 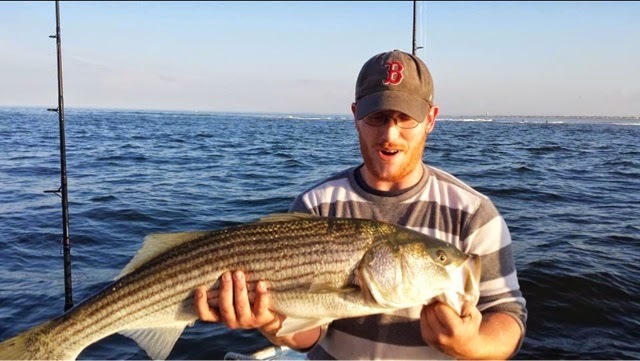 Captain Derek had a bass trip on Sunday as well and they had similar results. 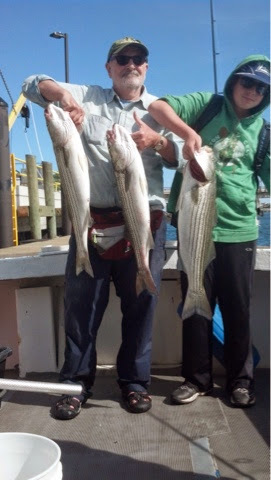 More schoolies than we had the night before and a good pile of keepers by the end of it. 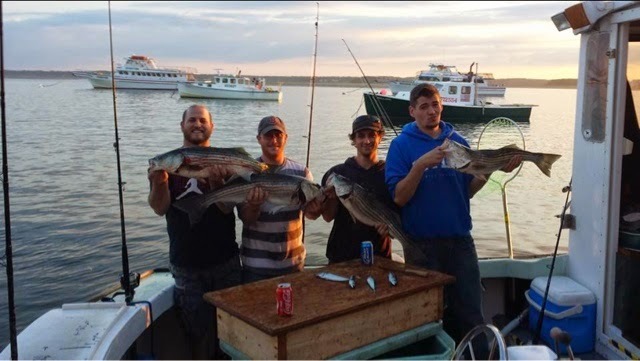 Open this Wednesday, Friday and Sunday for all day or half day give us a call (603)-918-3627 to have your shot at this great fishing!